LM is hankerin’ for some delicious muffins. I’ve made these morsels a staple around here for years, usually for late breakfasts. Back in ’98 I baked dozens of batches for the crew of Rock Opera. Director Bob Ray claims that’s what kept folks coming back! 1 cup organic old-fashioned oatmeal. Whole Foods carries a respectably-textured brand in bulk for $1.79 a pound. 1 cup yogurt. Local is best and homemade from local milk is the bestest. 121 grams (1 cup) organic all-purpose flour. WF 365 brand 5# bag goes for only $4.69. That’s a deal! 104 grams (1/2 cup packed) brown sugar. I prefer dark brown. WF sells Wholesome Sweeteners brand but the best bargain is Central Market’s organic brand light brown sugar @ $2.99 for a 2-pound bag. You choose. 1/2 cup good oil for baking. I frequently use coconut oil, although you will get a slightly heavier result here. Nut oils are great, especially toasted versions, and ‘specially if you can find organic. Otherwise any neutral-flavored organic oil is fine. turbinado sugar–CM sells this gorgeous less-refined sweetener in bulk for $1.49 a pound. You’re gonna need a 400º oven for these muffins. You can cut this recipe in half and employ the toaster oven (1/2 an egg is about 1 1/2 Tablespoons), but 6 of these toothsome treats is never enough at our house. Grease your muffin tin–two 6-cups or one 12-cup–with the lube of your choice or use muffin liners. 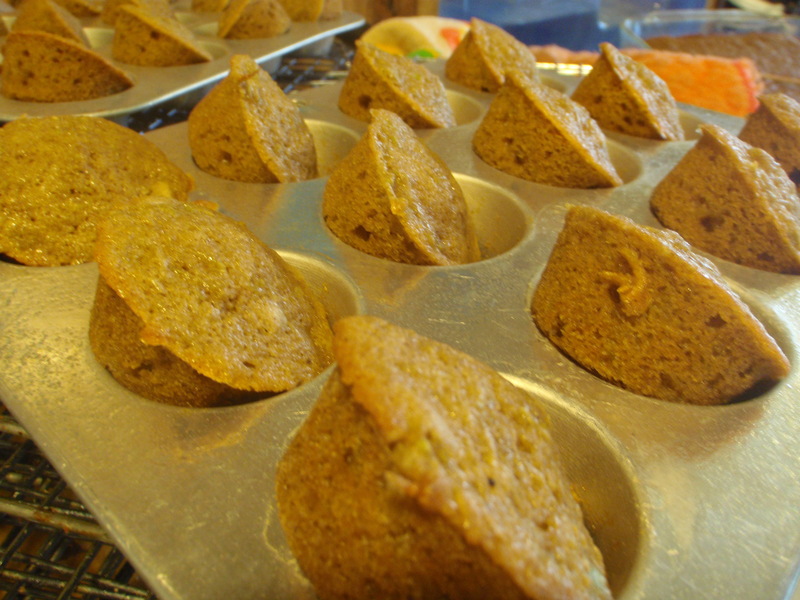 If You Care® makes unbleached “baking cups”. I’ve purchased these at Central Market and they should certainly be available at Whole Foods. Stir the oats and yogurt together and let them sit-n-soak. You can take care of this the night before, but a half-hour submersion will get you by. Stir together the flour, baking soda and baking powder. Stir the salt into the oats, then the egg, next the brown sugar, and finally the oil. Dump the dry ingredients into the wet ingredients and quickly but gently combine the two mixtures until almost mixed. Go ahead and leave some streaks of unblended flour. Fill your muffin tin(s). I recommend using a spring-loaded scooper. Fast and efficient! Deck the tops with turbinado sugar and optional pecans to taste. This is a good time for the younger baker in the family to help out. Kids will most enjoy dousing a particular scoop of batter with as much topping as they’d like and claiming that one as their own. Trust me. Bake for about 15 minutes. You’ll have to rely on your familiarity with your baking appliance to decide when to check on these guys. The tops should get a little brown and of course the centers of the muffins will test done (no raw batter showing up on a skewer or wooden toothpick poked into one.) I never need to check these muffins anymore. At this point I just know. Let ’em cool just a bit. If you can! Still enjoying the heck out of that Logan’s Turnpike Mill stoneground Georgia cornmeal that we picked up in Atlanta. I’m using the yellow more because that’s what I’m used to but I’ll get back to the white after a while. 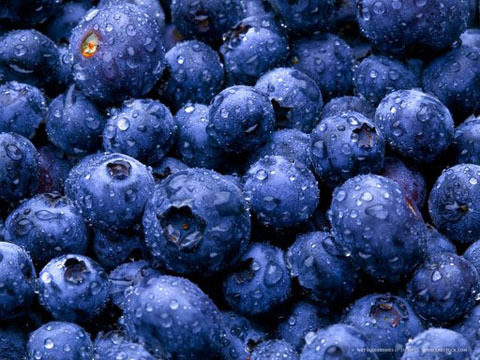 Texas blueberries are all around with Central Market selling full pints of the organic jewels for $3.99. I’ve been finding similar deals at the farmers markets and Whole Foods. The last issue of WF’s Whole Deal offers coupons for Organic Valley butters ($1 off per package)that expire tomorrow and both OV’s cultured butter (gold package) and Pasture butter (green package) are on sale right now at WF for $3.39 per half pound block. 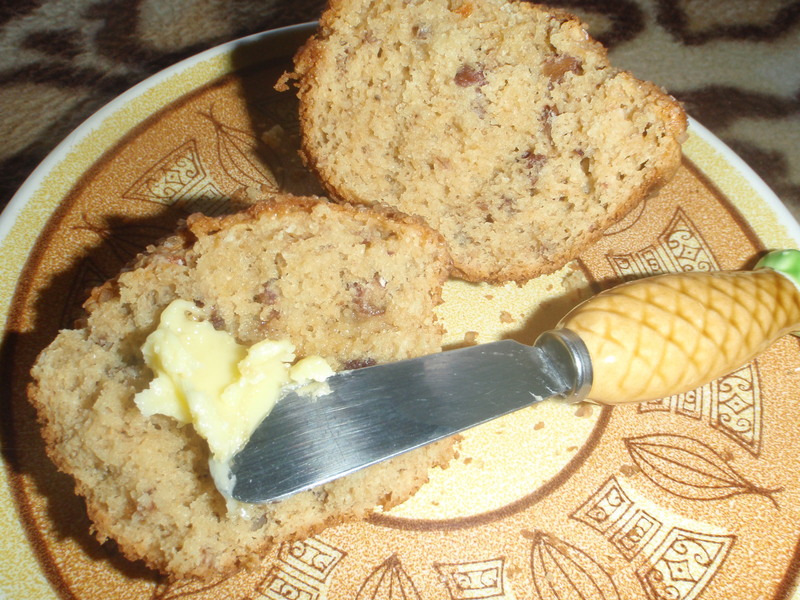 These specialty higher butterfat butters are luscious and perfect for gilding your muffins. Grease your muffin tins and heat up your oven to 400°. Whisk together your dry ingredients through the baking soda. In a separate bowl whisk together the buttermilk, salt and honey. Pour the slightly cooled butter on top of the wet ingredients then dump the dry ingredients on top. Give it a couple of stirs then pour on the blueberries. Stir quickly and gently just to mostly combine everything. Don’t overmix! Fill your pans (use a scoop) and top the batter with turbinado sugar if desired. Bake 12 minutes or more, until baked through. Cool in the pan on a rack for 5 minutes then loosen each muffin with a small knife or spatula and unmold onto your cooling rack. Enjoy now or later. This recipes halves easily so you can bake just 6 muffins in your toaster oven.